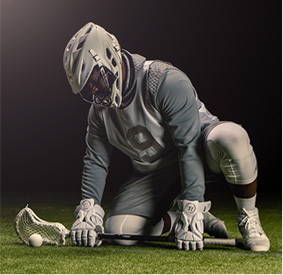 All new face-off-specific head designed with Gold Medallist & NCAA Champion Trevor Baptiste. Meets all NFHS, NCAA, CLA, & FIL field specifications. 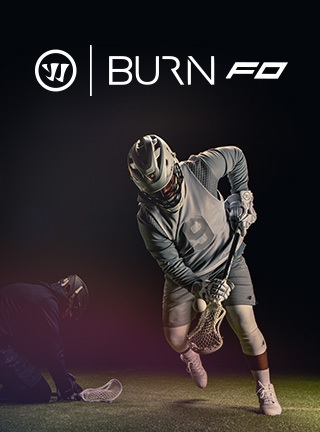 The Burn FO was designed asymmetrically to provide balance between flex, strength and recovery. Left side designed for flex and strength, while the right is built to provide strength & recovery. 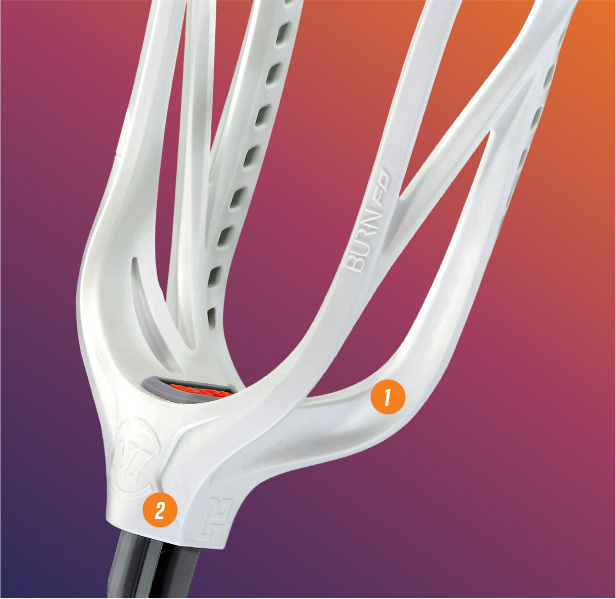 Flexible left sidewall lets you gain position & control on 50/50 battles. 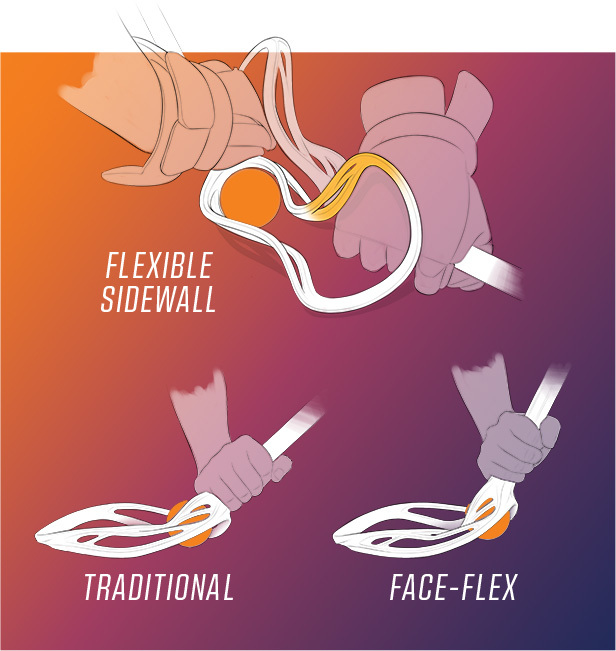 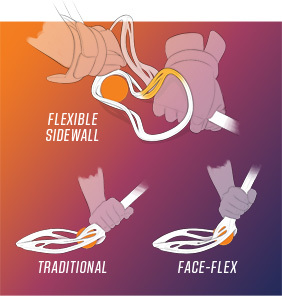 Universal pinch design accommodates multiple faceoff styles, traditional or face-flex. 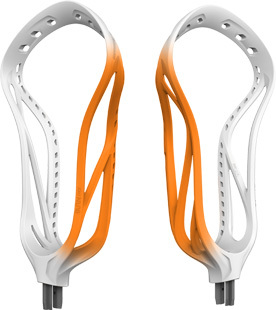 Super stiff throat designed to hold shape after the toughest battles. Shorter throat design allows for additional leverage & control. 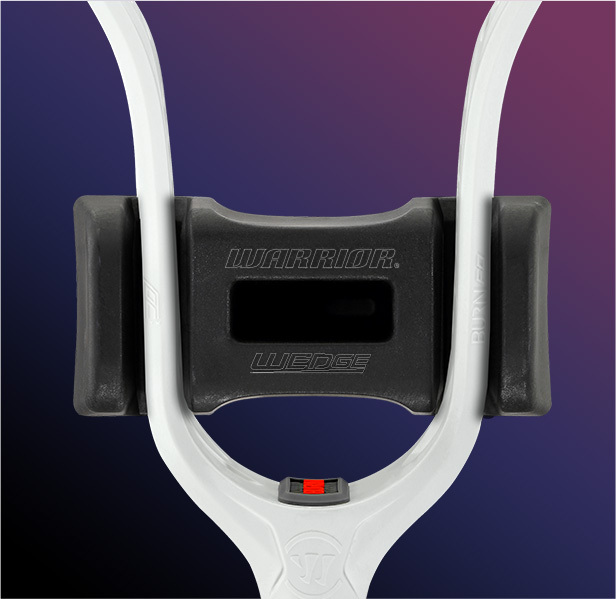 Warrior wedge designed to aid in widening throat area to regain throat shape.